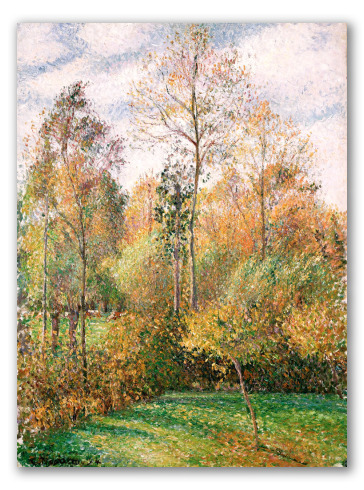 Pissarro's "Autumn, Poplars, Eragny", Oil on Canvas. G. Paintings. 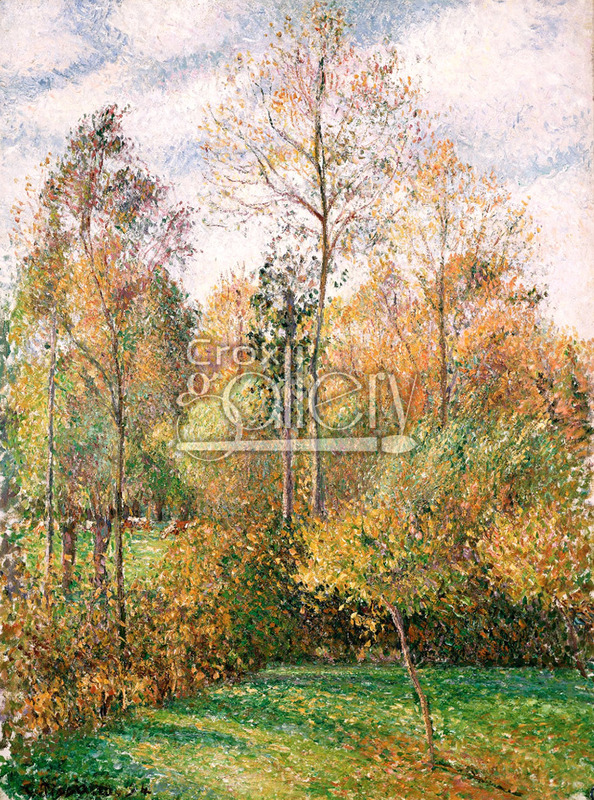 Work entitled "Autum, Poplars, Eragny", painted in 1894 by Camille Pissarro. -The muted grey sky, which contrasts with the rest of the painting. This painting features a simple composition, and is considered a classics of impressionism. "Autumn Poplars, Eragny" is currently displayed in the Denver Art Museum, United States.